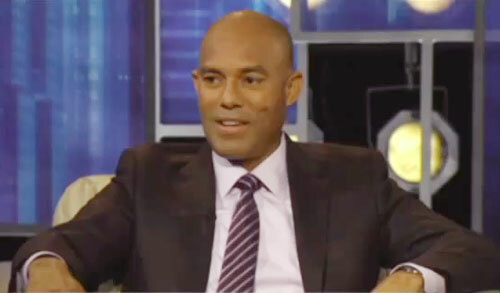 NEW YORK CITY — Former Yankees Pitcher Mariano Rivera has been named the featured speaker at the upcoming Steiner Sports Executive Luncheon Series to be held on October 28 from 12 p.m. to 2 p.m. at NYY Steak located at 7 West 51st St in NYC. Rivera will share stories about his career achievements and struggles. Members will have a chance to meet special guest Sparky Lyle who will also appear at the same event. Steiner Sports says that they understand how challenging it has become to maintain relationships with affluent clients, get referrals, convert prospects, and motivate employees. Steiner Sports specializes in helping companies use the power of sports to grow their businesses. The three-course steak luncheon is designed to give its members and their companies exposure to some of the most prominent people in the business community. Watch Mariano Rivera hug Andy Pettitte and Derek Jeter on the pitcher’s mound before walking off the field one last time to a standing ovation as the New York Yankees play the Tampa Bay Rays. Sports Speakers 360 is a booking agent for pro athletes. If you would like to book Mariano Rivera for a speaking engagement, appearance or endorsement, contact Mariano Rivera’s booking agent for fees at 1.855.303.5450.